The property is situated on the outskirts of the popular village of Sellindge with its local shop and post office, church, village hall and pub. There is a popular village primary school and bus stops nearby provide easy access to secondary schools in Folkestone, Hythe and Ashford. The Cinque Ports Town of Hythe, approximately 5 miles distant, provides a wide range of amenities including 4 supermarkets (including Waitrose, Sainsburys and Aldi), a vibrant High Street with various independent shops, boutiques, cafes and restaurants, together with a selection of sports and leisure facilities, golf courses, swimming pool, etc.. Ashford is around 7 miles distant and offers a wider range of amenities. The motorway network (M20 Junction 11) is within a short driving distance of the property (approx 3 miles), the Channel Tunnel Terminal (5 miles), the ferry port of Dover (16 miles) and Ashford International Passenger Station (8 miles). There is also a main line railway station at Westenhanger (2.9 miles) down the road, with regular commuter services to London and the High Speed Link trains are available at Folkestone (West or Central) or Ashford. 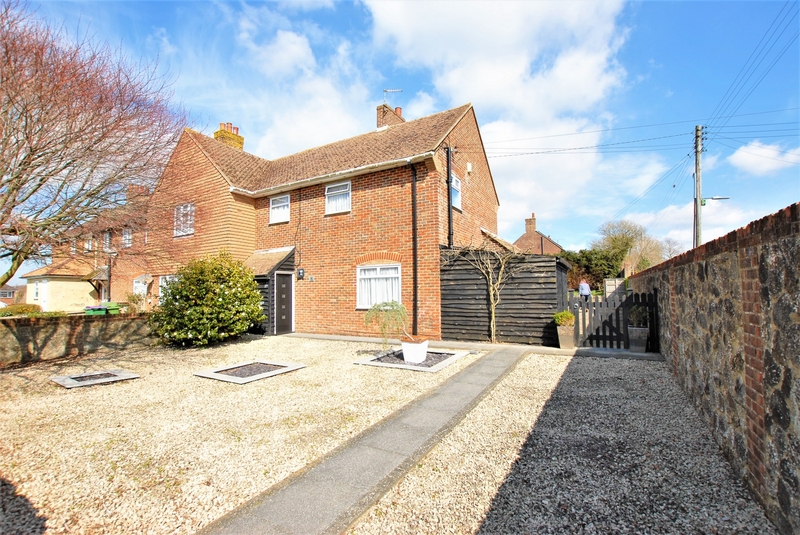 Occupying a generous corner plot with a wide frontage of around 120 feet to Swan Lane, this well proportioned end of terrace family home offers particularly comfortable accommodation and is attractively presented throughout. The accommodation includes an entrance vestibule leading to the well proportioned sitting room with open fire and double doors to the conservatory extension. The smartly fitted kitchen, with Corian worktops leads to a separate dining room and to the rear hall/utility area and shower room. The first floor comprises three bedrooms and a bathroom. The house is encompassed by gardens o three sides with numerous outbuildings and a detached garage. There may be scope for some further development within the garden (subject to all necessary consents and approvals being obtained). There is also off street parking.